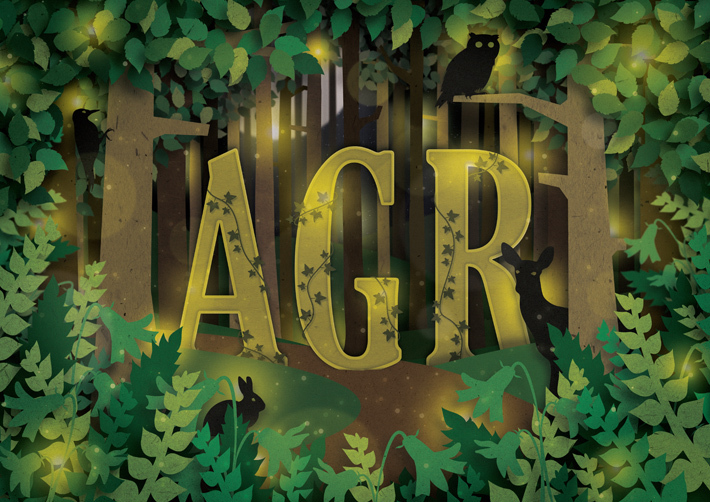 Towards the end of last year I found myself with a little bit of downtime so decided to create something to give to my one year old daughter for Christmas. 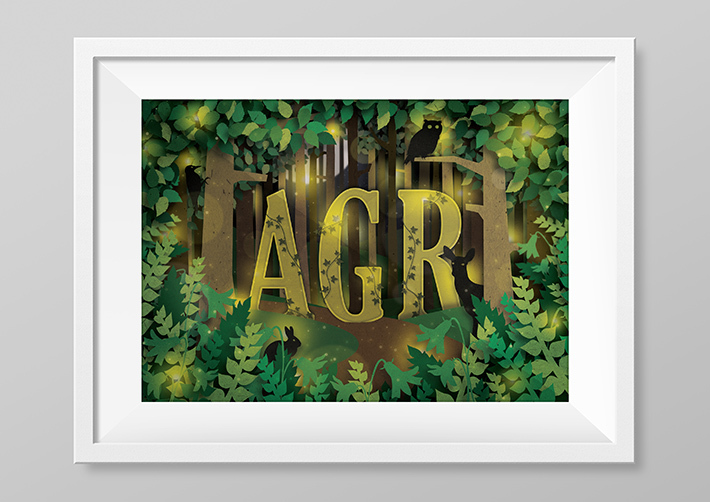 The idea was to make a print to hang in her nursery using her initials AGR. It was so nice to sit down and start work on a piece without the strict brief or tight deadlines that accompany so many of my usual projects! 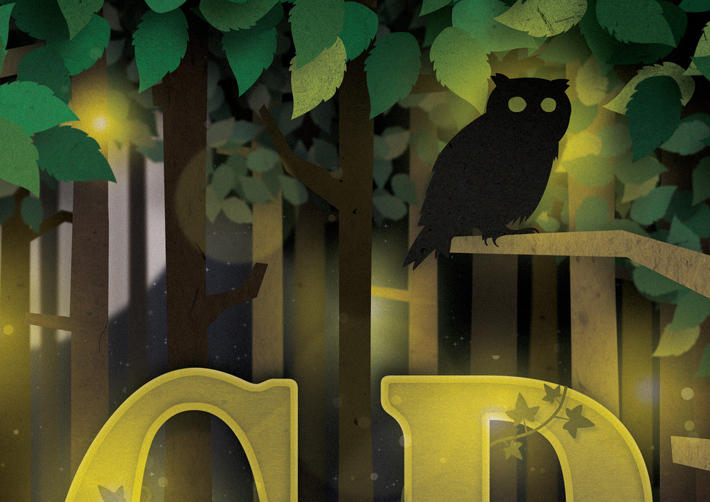 I quickly decided upon an ‘enchanted forest’ theme and set about creating a paper cutout style. My daughter doesn’t appreciate it yet but hopefully she’ll come to love it as she grows up!